The 1960s was an eccentric period for Turkish music due to the experimental innovations made by young and energetic amateur musicians. This movement has yet to been named or described properly, but many use the term Anatolian rock to refer to the progressive rock-based interpretation of certain Turkish folk songs. However, the term does not cover many songs. In fact, so-called Anatolian rock tends to combine a variety of musical genres including rock and roll, blues, psychedelic folk, instrumental and progressive rock, symphonic rock and others. The mentioned perplexity arises from the fact that the modern Turkish musicians were seen as simple imitators of Western music, even though the majority of them tried to avoid such an ascribed identity by creating unique compositions and sounds. Many were experimenting with music in a new age and experiencing new sounds; however, some of them were actually imitators as well. 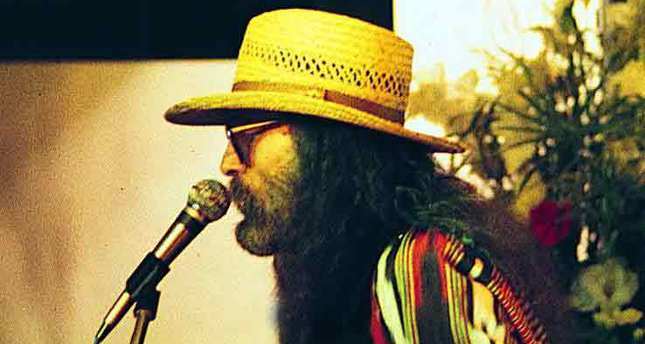 Cem Karaca is perhaps the best-known singer of Anatolian rock music, known for his powerful voice and dramatic interpretation of folk music within the stream of psychedelic rock. Indeed, many individuals have a favorite Cem Karaca song since he often ventured into various musical genres and moods. Cem Karaca was unique from birth. Born in 1945, he was the only child of an Azeri-Turk father, Mehmet Karaca, and a mother of Armenian origin, Irma Felegyan - also known as Toto Karaca. Toto Karaca was an opera singer and a theater and movie actress. Cem's mother's side was very interested in music; Toto's aunt, Rosa Felegyan, could play the piano well and taught the young Cem how to play and read music. However, his mother Toto was the person who discovered Cem's brilliant voice. Although Cem's family had a background in and affinity towards music, it did not have a significant effect on his education. For instance, instead of attending a conservatory, he attended Robert College. During his high school years, he became fond of rock music, which was growing in popularity both in Turkey and around the world. He began recording covers of famous rock songs in order to flirt with girls, but he was otherwise not serious enough about making music at the time. In 1962, he performed at the Beyoğlu Sports Club for fun and the delight of his friends. After seeing that people loved his performance, he decided to create a rock band with friends and established his first classical rock cover band, The Dynamites, with close friends of his. İlham Gencer, who was a prominent musician at the time, gave his personal support to the band. After some time, Cem joined another cover band called The Jaguars, which performed songs by Elvis Presley. Rock and roll was huge among youth around the world, and they loved it, in part, since it reflected their wish to become faster and louder in life. In Turkey, rock and roll had no roots; it was simply something fun for many musicians, as they covered many American and British songs, and young people coming from Westernized environments of Turkey associated it more with fun than with musical proficiency. Yet, as the majority of people also still preferred domestic folk music or Turkish classical music to the so-called "light Western music," this was considered snobby by the younger generation. In that year, Hürriyet daily newspaper organized a song contest called "Altın Mikrofon" (Golden Microphone) for the youth who were fond of rock music. The contest set some very interesting rules including that participants were not allowed to perform pop music like the British, but had to compose songs in Turkish or arrange traditional tunes and play them with Western instruments and attitude. The rules of Altın Mikrofon are understandable, for Turkey has always sought to create a synthesis between the Western culture and Turkish traditions and values. Singing in Turkish has always been a must, and Turkish popular culture is closed to foreign languages even now. Secondly, Turkish tunes have always been preferred thanks to their clear and strong melodic structure. So, while Western musicians often emphasize harmony, the melody is the main focus of Turkish music. Meanwhile, Cem Karaca was living with a dilemma. His father did not want him to be a musician. He tried to prevent him from performing in music halls, and he even hired some men to boo Cem in order to encourage him to give up singing. However, Cem had already made up his mind. In 1967, he began to write his own songs, record and perform with professional groups like Apaşlar (The Apaches), Moğollar (The Mongols), Dadaşlar (The Easterners), Erenler (The Sages), Kardaşlar (Brothers and Sisters), Dervişan (The Dervishes) and others. After hearing about Altın Mikrofon, Karaca and friends applied to the contest but did not qualify for the final. Afterward, Cem Karaca left Istanbul to complete his military duty. While serving in the army in Antakya, he learned about Turkish folklore and met Aşık Mahzuni Şerif. The Altın Mikrofon contest became a significant music event after 1967, and it featured prominent Anatolian rockers such as Barış Manço, Moğollar, Edip Akbayram and Erkin Koray - some of the modern musicians best loved by the Turkish public. What these musicians did was take traditional melodies and transform them into psychedelic folk-rock. The band Moğollar coined the term "Anadolu Pop" for this new blend of Turkish and Western terms. The lyrics were in Turkish, and the tunes were fed by Turkish folklore. Only the polyphonic harmony and the instrumental effects were coming from the West.